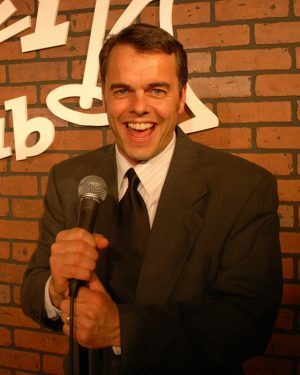 FULTON – The Fulton Lions Club has announced that comedian Dan Viola will replace Chip Chantry and join headliner Chris Coccia at the 6th annual Mane Event comedy night. on , Oct. 12, at the Fulton Polish Home. Chantry had a work conflict that forced him to cancel. Presale tickets are $15 and can be purchased up to Oct. 5 at Devine Designs, Fulton Medicine Place, Phoenix Medicine Place, Mimi’s Drive-In, PathFinder Bank-Fulton, and the Fulton Polish Home. Ticket donations sold at the door can be purchased for $20 per person and Laugh Package tables of eight may also be purchased in advance for $200 per table. Laugh with the Lions-Laugh Package includes reserved preferred seating near the stage, waitress service, specialty pizzas, snacks and soda, and one complimentary drink per person. Laugh Package tables can also be purchased online at fultonlionsclub.com. For more information, call Michaels at (315) 529-5508 or co-chair Linda Hughes at (315) 960-3019. The Fulton Lions Club helps the community with a variety of projects and services by its annual fundraising events such as the Lions Loot Sweepstakes and Charby’s Duck Derby. For further information, visit https://fultonlionsclub.com.